Apple has already hit a milestone as it has reached over one million users of Ping within the first 48 hours of its going online. That’s a third of the three million that have downloaded iTunes 10. You can expect that number to grow much higher, as “many more people” are likely to download iTunes. The adoption is very rapid and is helped tremendously by Apple’s existing user base of course. 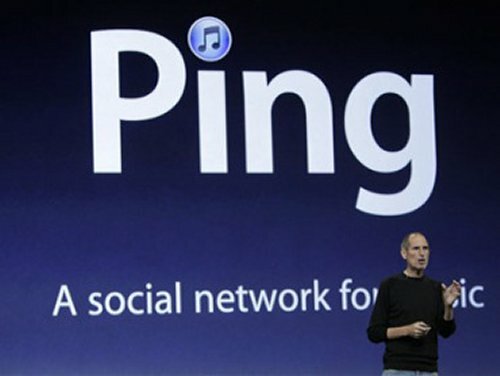 With over 160 million iTunes owners using credit cards and so are guaranteed to be attached to an Apple ID, Ping will require very little effort to get a large portion of those users online. Generally when we catch photos and details on new products via the FCC the things are seen in maybe one blurry shot like we had with the Griffin PartyDock not long ago. The FCC has been at work on the iPod touch for it to get the certifications to hit stores in the coming weeks. 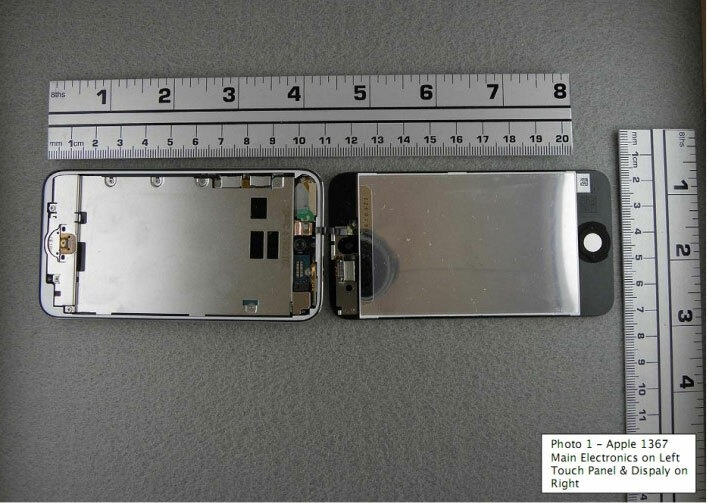 The FCC has taken the new iPod touch that was unveiled yesterday, torn the gadget into pieces, and filmed the whole thing. This is something rather new that I haven’t seen the FCC do very often with the complete teardown. We usually have to wait until iFixit and other sites like it get the gadgets to see a teardown. So another thing that Apple is showing off today is iOS 4.2, which will be everything iOS 4.1 is, plus some iPad-specific extras. The most interesting thing here is AirPlay, Apple’s redub for AirTunes, with the addition of being able to stream music and video from your computer to your i-device over WiFi. You can expect that Apple will launch iOS 4.2 for iPad, iPhone and iPod touch devices in November. 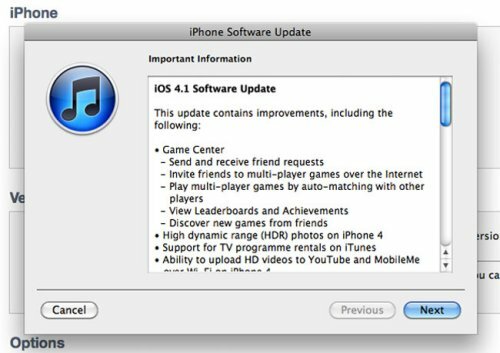 Apple has announced iOS 4.1, which has several important bug fixes and some other interesting additions. There are fixes for the proximinity sensor issue, Bluetooth, and also improvements to iPhone 3G performance. 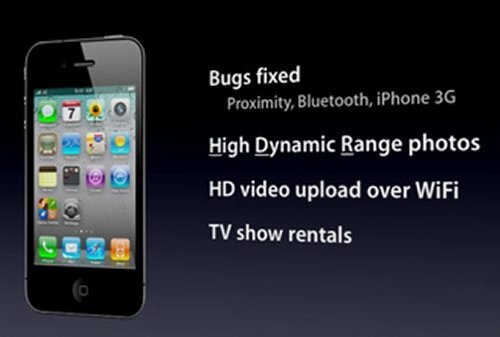 Some of the new features include High Dynamic Range photos, HD video uploads over WiFi, TV show rentals and a Game Center. High Dynamic Range photos will take a pic that actually takes three separate photos, one with highlights, shadows, and midranges. It combines them together to make HDR photos, which have more detail and depth. Keeping gadgets like the iPad and iPhone charged up when there are multiple devices in the same house can be a challenge. We have four Apple devices in our house and we only have one charge cable plugged in. We end up jockeying the devices around for charging and that gets to be a pain. A new dock from PhotoFast has surfaced that is perfect for people with multiple Apple devices. The dock is called the iPADock and has two slots that can support up to four iPhones or iPods for charging. A single slot can also support one iPad as well. You know the drill. An Apple event is imminent and lo and behold some cases turn up online. Yep, we’ve been here before. These come from Chinese case retailer X-Doria. There’s a case for what appears to be a 4th-gen iPod touch with a camera, and one that’s described as a case for a “nano 6G,” which could be for a new iPod shuffle with touchscreen. 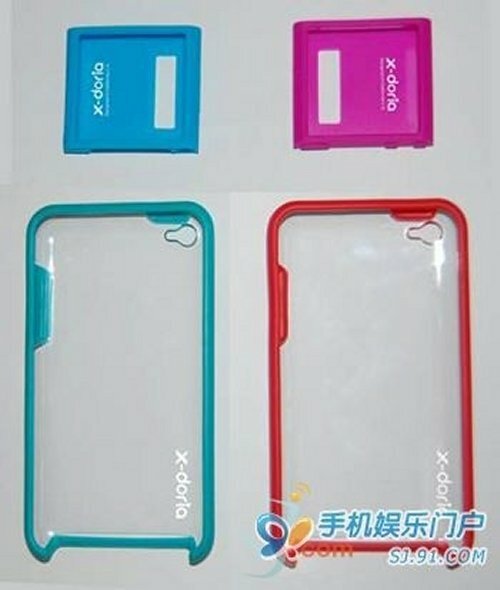 The iPod touch case looks like it has a curved back similar to the current model, while the nano / shuffle case looks like it will hold that 1.7-inch Apple touchscreen that was rumored last month. There are tons of docks on the market for the iPhone and iPod touch. The docks are typically only used for charging and playing music and other content through external speakers and screens. A new dock has been revealed by the FCC from Griffin. 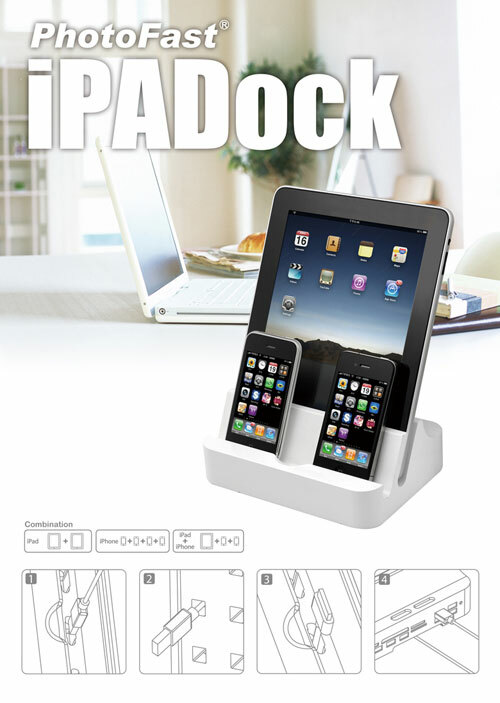 The new dock is called the PartyDock and it is design to enable multiplayer gaming in the iPad, iPod touch, and iPhone. The dock has four wireless controllers that will function with the three included PartyDock games. Those games include Midway Motors, Fishing Frenzy and Flippin’ Frogs. Apple has had it’s share of problems lately and now an Apple supply manager has been arrested, accused of taking more than $1 million in kickbacks from suppliers of accessories for the iPhone and iPod. 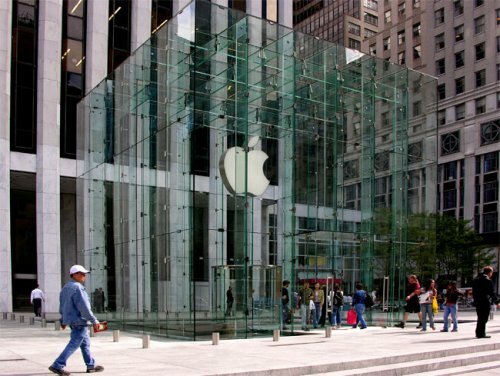 Paul Shin Devine allegedly used his position at Apple to supply about half a dozen Asian suppliers with information which put them in a better position to receive Apple contracts. Devine allegedly used several foreign bank accounts and a false company called ‘CPK Engineering’ to process the payments, and he is now in the custody of US Marshalls. 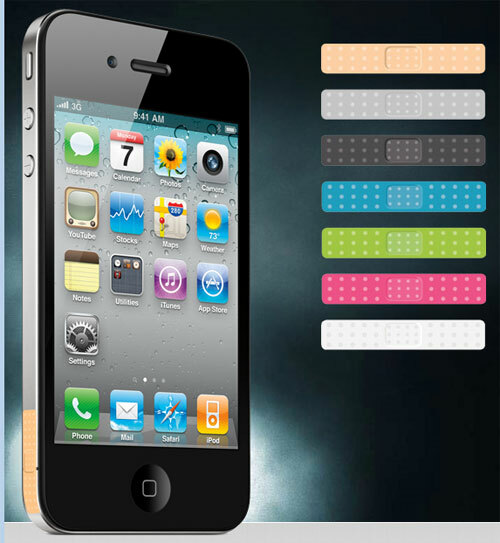 These slick little stickers to stop your skin from killing your signal strength on the iPhone 4 surfaced a while back. 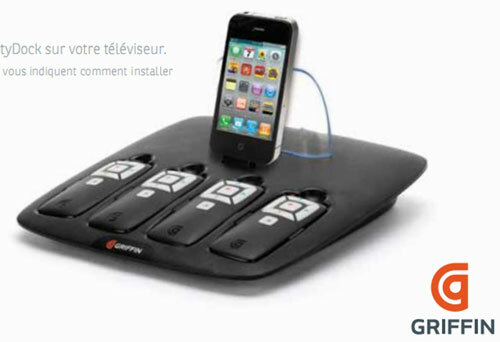 If you like, the idea of fixing your iPhone 4 antenna woes without a case these may be for you. The little stickers look a lot like Band Aids that my daughter wears every time she gets a scratch. You can get a package of seven iBand Aids for right under $5. That much green gets you beige, gray, black, blue, green, and white versions of the thing. 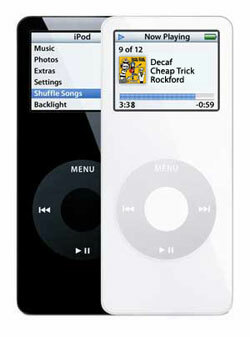 The overheating issues with first generation iPod nano players from Apple have been well documented. There have been numerous fires and burns linked to the devices overheating. Apple has now offered Japanese owners of the first generation iPod touch a replacement. Apple says that any Japanese owner of an iPad touch showing symptoms of overheating like deformation or discoloration can get a replacement device. Apple will also replace the battery for users who worry that their device might overheat. There is an app for just about everything you might want to do. That world of apps has gotten bigger now with an app that can actually give you a massage. A new massage chair from Human Touch has been unveiled. The chair is the 9500 and it can be controlled completely from the iPhone or iPad. The chair uses an app that lets the user completely customize and save their own massage programs. 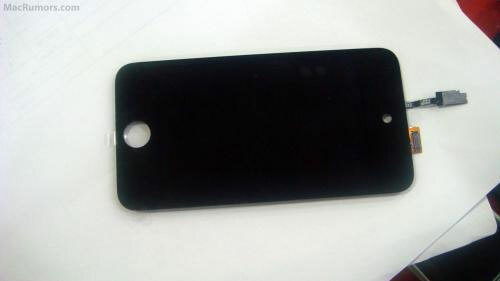 Yesterday we saw some images of what is supposed to be an iPhone touch 4 mockup and case surface. Today we see some new shots of what it supposed to be the screen for the next iPod touch. 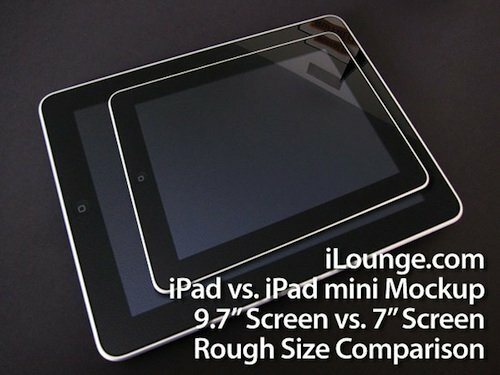 The images come from MacRumors and the site claims to have received the images from an Apple supplier. The screen clearly shows the hole needed for a front facing camera. Dish Network and DirecTV are the two satellite providers that are available for most of us in the US. The two companies have offered DVR scheduler apps for smartphones for a while now that let you control the DVR from anywhere. Dish Network has announced that it has released the world’s first DVR controller application that is designed specifically for the iPad called Dish Remote Access. 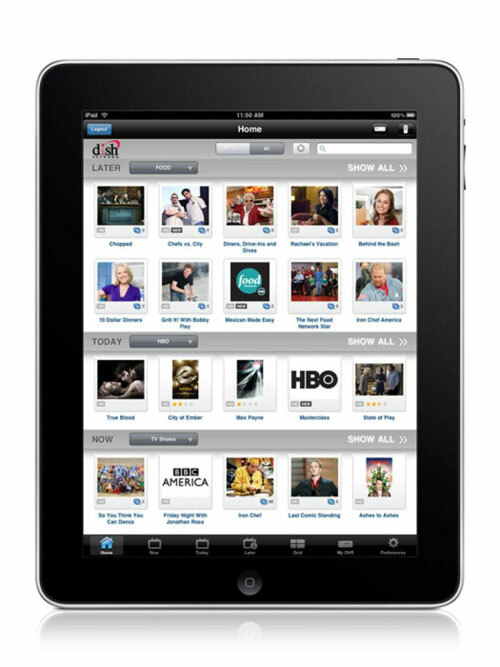 The app lets the iPad user have full control over any DVR in the home from anywhere with a web connection. Word on the street is that there will be a revised set of Apple devices coming soon (as if that’s a surprise), specifically an iPod shuffle with a touchscreen display, a 7″ iPad for early next year, and a fifth generation iPhone as early as next January. We would guess that the 7″ iPad is the focus, since it would make the device all the more appealing in a smaller form factor. Time will tell what the items will be, but at least we know that there are always more Apple products falling from the tree.